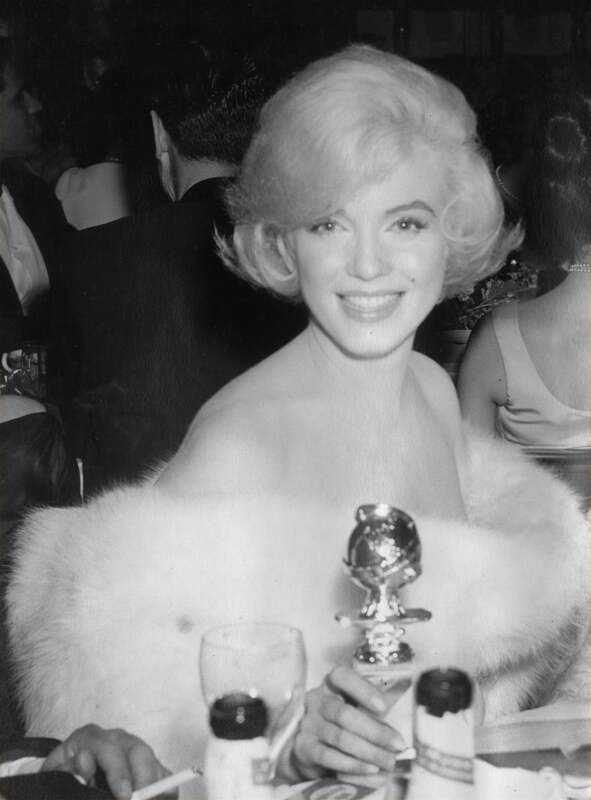 Marilyn Monroe and her first Golden Globe, 1960. In 1960 Marilyn Monroe attended the 17th Golden Globes, held on Tuesday, March 8 at the Cocoanut Grove, Ambassador Hotel, when she won as Best Actress for the comedy Some Like It Hot, directed by Billy Wilder costarring Jack Lemmon and Tony Curtis. On that occasion, she wore a white fur stole over a white dress. 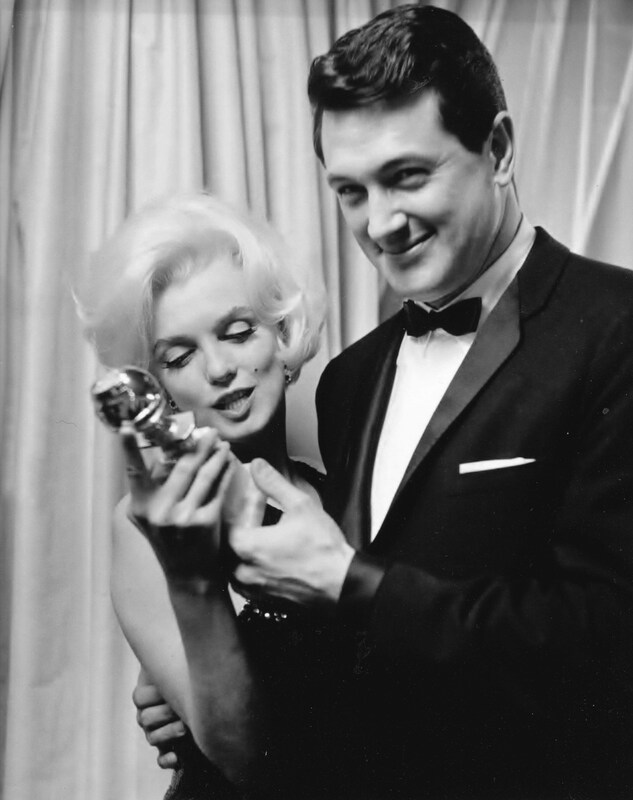 In 1962 Monroe wore a V-neck sequined black dress at the 19th Golden Globes, held at the Beverly Hilton hotel on Monday, March 5, when she accepted a special award as World Film Favorite from presenter Rock Hudson. Her date at the event was Mexican screenwriter Jose Bolanos. She died five months later, on August 5, 1962, at age 36. Marilyn Monroe and Rock Hudson at the 1962 Golden Globes. In 1957 Monroe had been nominated as Best Actress for the comedy Bus Stop by Joshua Logan. 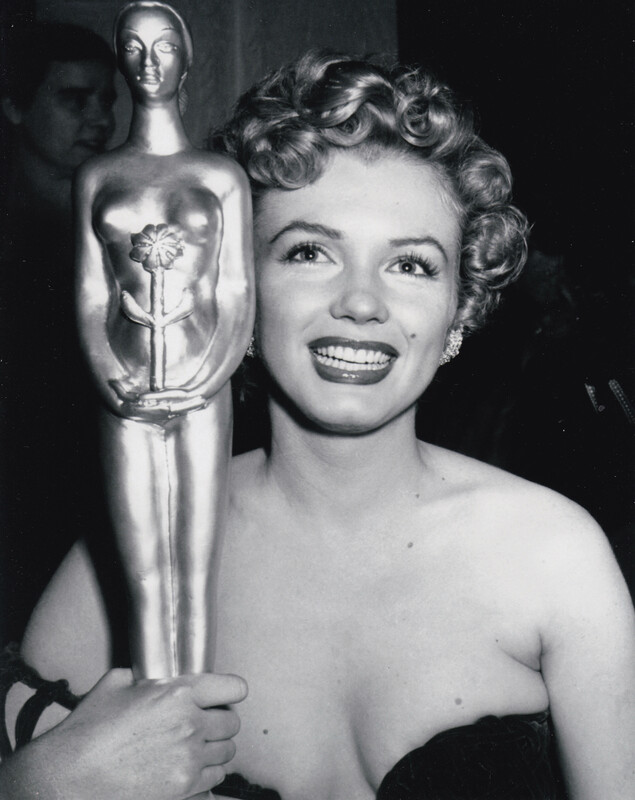 But she did not attend the Golden Globes, held Thursday, February 28, 1957, at the Cocoanut Grove, Ambassador Hotel. In 1954 she had been named World Film Favorite, but did not show up to receive the award at the Golden Globe and World Film Favorite Awards held jointly at Del Mar Club in Santa Monica on Friday January 22 by HFCA (Hollywood Foreign Correspondents Association) and FPAH (Foreign Press Association of Hollywood), the two organizations that would merge in 1955 to form the HFPA (Hollywood Foreign Press Association). Marilyn Monroe and her Henrietta award, 1952. In 1952 Monroe had received a silver Henrietta trophy as Best Young Box Office Personality at the World Film Favorite Festival held by HFCA’s splinter group FPAH at the Del Mar Club in Santa Monica, on Saturday, January 26, 1952. The Henrietta, a tall statue of a naked woman holding a flower, named after FPAH President Henry Gris, was given to winners in every category. For that occasion, Monroe wore a strapless red dress. Tony Curtis and Leslie Caron also won a silver Henrietta that year, as did 3 other actors. Alan Ladd and Esther Williams won gold Henriettas as Most Popular Actor and Actress.